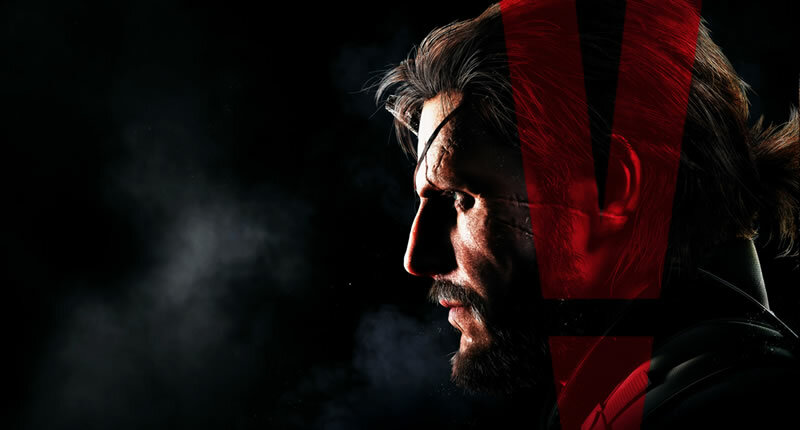 Metal Gear Solid V: The Phantom Pain review: does Big Boss deserve his title? The Metal Gear series has a deliciously convoluted and robust lore — it’s what keeps players like myself coming back for more. Metal Gear Solid V: The Phantom Pain (MGSV: TPP) looks to finish the magnum opus story started almost thirty years ago. MGSV: TPP is a long game, a very long game. I was hoping to play through the entirety of the main story before reviewing it, but after 70 hours of gameplay, I’ve only managed to finish the first act and a lot of side content, which means a complete review of the story isn’t going to happen anytime soon. It’s a big game. MGSV: TPP takes place between Metal Gear Solid V: Ground Zeroes and the original Metal Gear released in 1987. It makes a lot of references to Metal Gear Solid: Peace Walker, so it’s advised you at least know the basics before diving into this new entry. As with the past few games, you are playing the Big Boss portion of the Metal Gear saga, which means you’ll play as Naked Snake aka Punished Snake aka Venom Snake aka Big Boss aka father of Solid Snake, Liquid Snake, and Solidus Snake. That’s a lot to grasp. The Phantom Pain starts with an incredibly strong, bizarre, weird, wonderful, and downright crazy introductory chapter, and something that you immediately know is from Hideo Kojima. However, once the prologue is complete, the story trudges along like a snail on Ritalin. So far I’ve seen a bit more of Skull Face than what was shown in Ground Zeroes, fought some mecha — this is Metal Gear after all — and completed and failed a lot of side missions. I am hoping the story just takes a while to get going, but so far it feels very padded. Previous titles contained movie-esque cut scenes which could last for over fifteen minutes and were stuffed with delicious story. The cinematics in MGSV: TPP are sparse and most of the story is given through audio logs in the form of in-game cassettes. Kojima has broken the golden storytelling rule of “show don’t tell” and throws far too much exposition at the player. Sure, it’s interesting listening to the tapes in the middle of a mission or while you’re managing R&D and staff at Mother Base as it keeps some fluidity to the game, but it’s strange for a Metal Gear title. My platform of choice is the PlayStation 3 and, if sales figures are to be believed, I’m in the minority of users owning a previous generation copy of the game. MGSV: TPP is possibly the best-looking game on the PlayStation 3 and pushes the console to its limits. In fact, it has me wishing I’d splurged that extra R200 on the Xbox One release, bugs and all. I am amazed at how the game manages to run at all on previous generation systems. 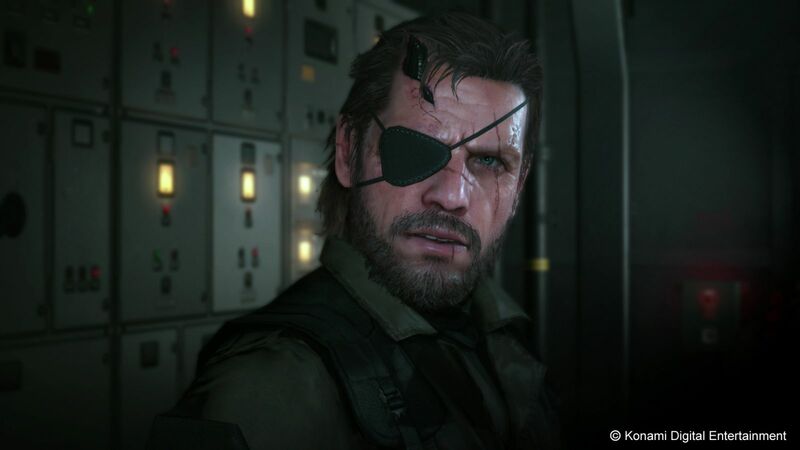 The game’s engine is mostly fine on the PlayStation 3, but there are some noticeable differences between how it runs versus last year’s release, Ground Zeroes. For one, there appears to be less detail. This may be because of MGSV: TPP having a much larger world that Ground Zeroes‘ small compound facility. Trees, plants, and other items scattered around the desert have noticeable pop-in when you draw nearer to them, though this is even more noticeable when driving in a vehicle, which, by the way, handle well. The main characters in MGSV: TPP have a lot of detail to them. 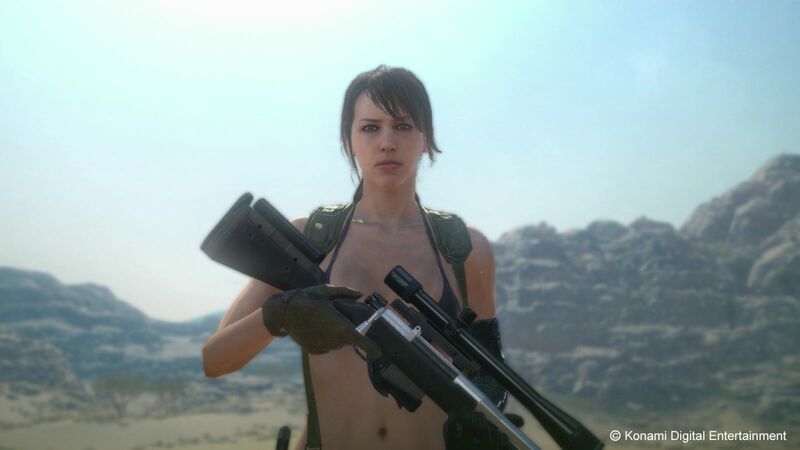 While teenage boys around the world will no doubt be ogling at Quiet’s ogly bits, I often find myself marveling at her face and how much detail and emotion the character displays in each expression. Big Boss (obviously) has the most detailed model out of The Phantom Pain‘s cast, with scars, scratches, beard hair, and some black bits sticking out of his head for reasons I won’t disclose. The adorable D-Dog’s mouth and fur have realistic movement and motion to them, and he endears himself even more when he haphazardly urinates on things. Adorable. The XOF engine has some strange design choices when it comes to rendering distant objects. There are times when I’ll fully zoom into the distance and see some decent textures, while at others, I’ll see a murky pallet of stretched background layers. During one of the missions, I found a decent vantage point from where to watch my target and mark him. The game realised what I was doing and had to quickly pop this person into existence before continuing with the mission. Everything else around the target was blurry. In the same mission, I had to restart it several times. The AI would alert itself to an unknown threat and never come out of alert status. This meant my target never moved to his intended location and I couldn’t complete the mission. The series’ first venture into the open-world genre feels like the dead world. I understand this lends weight to the game’s atmosphere, but it also feels strange running over various hills wishing something would happen along the way. That’s not something a player should be wishing for. There are desert and jungle/swamp areas, but what about all of the wildlife? There can’t just be three birds flying around Angola, can there? 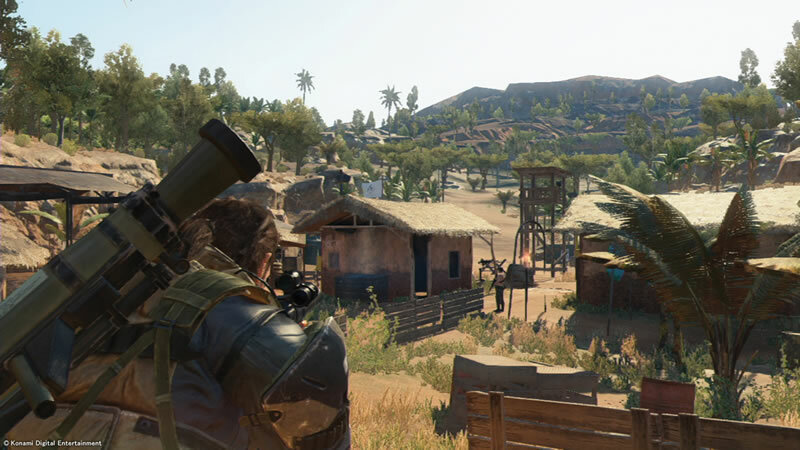 MGSV: TPP aims to be a true open-world stealth game without a linear mission approach. In fact, you can approach missions from one of three ways: firstly there’s an all-guns-blazing tactic, which often results if your character’s death. Secondly you can take the full-stealth route option with tactical takedowns and sneaking about, which the game rewards you for but can take up more time than several loads of washing to extract a single person. Finally, players can start off with the stealth approach, be spotted by the enemy from several miles away, think “screw it, I don’t need that S-rank after all,” and go in guns blazing. The last option can often result in tanks, helicopters, and some random gentlemen with rocket launchers killing you. Does it redefine open-world gameplay? It wants to, but it’s not quite there yet. There are indeed some interesting gameplay mechanics at work. For example, I can take out a base’s anti-air turrets and then call in a helicopter for support. The helicopter and its pilot become sacrifices for the cause and distract the enemy while they fire a barrage of bullets into him. I ignore his screams as I sneak into the base, rescue the single hostage, steal some diamonds, or air-lift a goat. You know, normal things like that. In one of the boss fights I was able to call in a supply drop, aim it at the character and have the container land on the enemy’s head, doing damage. In several missions, I stood at a distance and picked off the enemies one-by-one with a dart sniper rifle and then interrogated all of them at my leisure. The artificial intelligence can be brutal at times and there were instances where I wanted to throw my PlayStation 3 controller at the screen, kick the console, and rage-quit. I could be merrily taking out enemies in a stealthy manner, not alerting anyone, when someone from somewhere random, miles away, would spot me and alert all of the other guards. The guards aren’t stupid and can easily gang up on you, call for reinforcements or increase security several towns over after you’ve been spotted. If you don’t finish off a guard they will writhe in pain, eventually compose themselves, pull out a handgun and try fire off a few rounds at you. It’s all very melodramatic. There is a lot to do in MGSV: TPP and there is a lot of content. And I mean a lot. 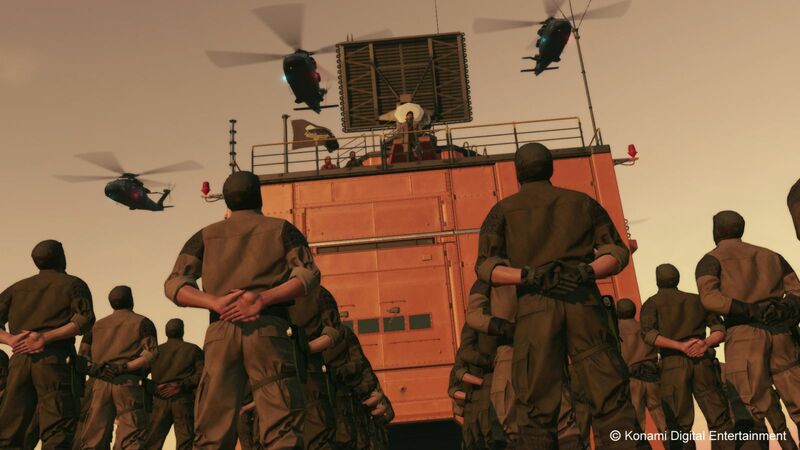 Apart from the storyline missions, which take up a big chunk of time, there are side-ops, there’s Mother Base to manage, resource collection, and a host of other goodies. This excludes the online mode. The menu system used by the player, the iDroid (Apple lawsuit pending) is an incredibly slow piece of kit. Whether intentional or not, opening the device, loading a menu, or evening trying to call in a support helicopter can all take 30 seconds and beyond. It’s one of the few things I thought wouldn’t take this long to load in a video game. It’s probably the most infuriating part of MGSV: TPP as you rely so heavily on it. There is an incredible amount of detail in the game and a lot of fun little touches. For instance, when starting a mission, all of your guns will have full clips of ammo, but nothing in the chamber. Tapping reload has Big Boss take a bullet from your ammo stash and place it in the chamber. Another example is, when Big Boss is sneaking around, D-Dog sneaks with him and also marks his territory. And then there’s the way that players are able to listen in on general chatter from opposing and friendly units. Aside from the negatives I’ve mentioned, such as slowdown and story, the game suffers from one major problem: it’s just not that fun. Yes, there is a lot to do. Yes, there is a lot of story to digest. Yes, the world contains an incredible amount of detail, but all of it just isn’t strung together in a coherent package that makes me want to play the game. There are often times when I force myself to slog through missions or side ops just to get further in the game and to discover what it is I’m fighting for. I really want there to be more story, more cut-scenes, more coherence within this Metal Gear Solid title — I realise this is an oxymoron — but it all feels so flat and unbalanced. One moment you’ll be playing through five missions with next to no storyline and the next one will have five missions’ worth of story dumped onto you. Even with all of the content and side activities to do in the world, it feels a lot like a menu management game. I seem to spend more time sorting through my Mother Base staff, allocating resources, listening to audio logs, or anything else really other than actually playing the fun parts of the game. At one point I went up against an actual Metal Gear unit, which I really enjoyed and marvelled at how majestic it looked on the PlayStation 3 hardware, hardware released over nine-years-ago, but that was hours ago and by now I don’t really remember all of what happened. The game feels incomplete. It feels like Kojima managed to get some large open worlds, decided on the style, loaded up a bunch of side-goodies to handle, but forgot the story and how it ties everything together. 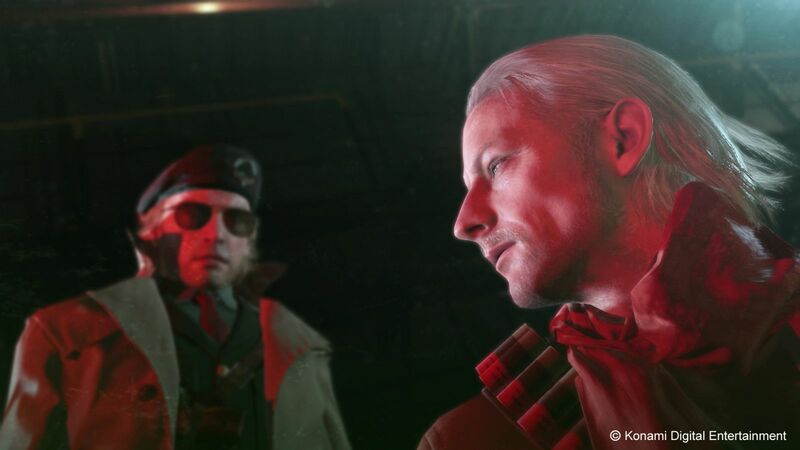 I’ve completed a major arc in MGSV: TPP, but have been feeling disappointed by it. It’s just… it’s just not Metal Gear. Metal Gear Solid V: Ground Zeroes is a better title than Metal Gear Solid V: The Phantom Pain. Verdict: I like Metal Gear Solid V: The Phantom Pain, but I’m not in love with it. I feel as though there’s a fling between us, but I’m not sure I want to take it home to meet my parents, or even share an Uber. I’ve gotten to the point where I no longer care about the game and after 70 hours of playtime, I no longer feel like pushing to finish it. One thing is for certain: to me, this is not and never will be Game of the Year material.